KLP Electrical is one of Geelong’s leading electrical contractors, providing professional, reliable and affordable commercial and domestic services, who specialise in grid connected solar. Solar power has become an affordable and attractive alternative to conventional power supplies and we offer an experienced solar installation and back up maintenance service. We became aware many clients had solar power supplies installed but there were no experienced and reliable solar repair or solar maintenance services. Until now! KLP Electrical provides expert solar panel installation backed up with regular solar panel maintenance and cleaning to ensure your system is running to maximum capability and you receive the full benefit of your power supply. This efficient running can also lead to massive cost saving with the feed in tariffs and solar credits through solar panel rebates. Installing solar power provides many benefits and we are here to ensure you receive all of these. Since 2009 we have installed over 1700 grid connected systems, just shy of 6.5 megawatts, thats over 56,000kg of Co2 pollution being avoided each year, and our numbers are still growing. We are very proud of our reduction to Geelong’s carbon footprint, not to forget that we are also helping local businesses stay competitive by reducing their energy costs dramatically. For commerical clients we have systems up to 100kW, which help local companies stay in business, saving money and returning an investment of up to 38%, on top of their depreciating asset (solar). Solar power for businesses is a no-brainer. When looking for solar electricians Geelong, call the specialists, KLP Electrical, for more information or fill out our quote request form. Your local solar power expert! Thank-you Kris, for the information you were able to give us about a Solar System. We are really pleased with the quote and following installation. Your promptness was really appreciated, as was your attention to detail and your availability to answer our questions. Thank-you again and good luck for the future. We would have no hesitation in recommending you and your business to any prospective clients. We have used KLP Electrical for all our electrical work whilst renovating our home, as well as maintenance work on our investment property. The quality of work, as well as the advice that Kris from KLP provides, is fantastic and he has made our house look great with ideas we would never had thought of. 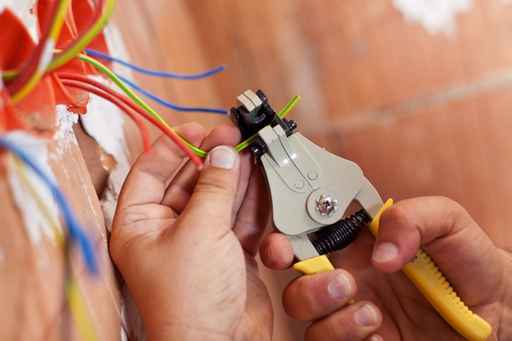 We would recommend KLP Electrical to anyone wanting quality service with the bonus of having a very friendly and polite tradesperson around their house! Great work that was completed efficiently and to great satisfaction, I was impressed with prompt service. Highly recommend Kris and his team. We would like to thank you for the wonderful service you provided for us recently at Nagle Drive It is very hard in this day and age to come across someone with as much dedication, honesty, punctuality, and a lovely team of men who work for you. Your work was faultless and we would highly recommend you to everybody for your great work. Thank you so much Kind regards. The guys who installed the system were excellent. They had customer service skills equivalent to retail sales people. They were confident and polite and made me feel safe having them around my house, which is hard to find in some trades people these days. They were able to engage in conversation, which is an asset in tradesmen. The job that they did was excellent and there was nothing left on site for me to clean up. Today the inspector came to inspect and he also mentioned that the crew did a professional job and he hasn't seen a bad job done by them. I am taking the opportunity to write to you to express my sincere thanks and satisfaction with the excellent job the installation guys from KLP Electrical did on our property in Pt Lonsdale. Not only did they arrive promptly, when they realise that roof clips hadn't been provided for the solar panels, meaning they needed to return later, they continued with the install as best they could with the minimum of fuss, all along keeping us informed of the plan to overcome that issue. Due to the location of the panels on the back of the house roof, the guys needed to run conduit all the way along the eaves. As you can appreciate anything that potentially could spoil the look of the place, makes the owners a bit concerned, but the installers from KLP Electrical managed to keep the visual aspect of the house intact and careful position the conduit cover so it was barely noticeable. My wife and I are grateful to them for their care, the level of consultation they had with us and their overall attention to making the job look just right.